Ishaan Khatter has hit back at the trolls criticising him for his latest pictures. 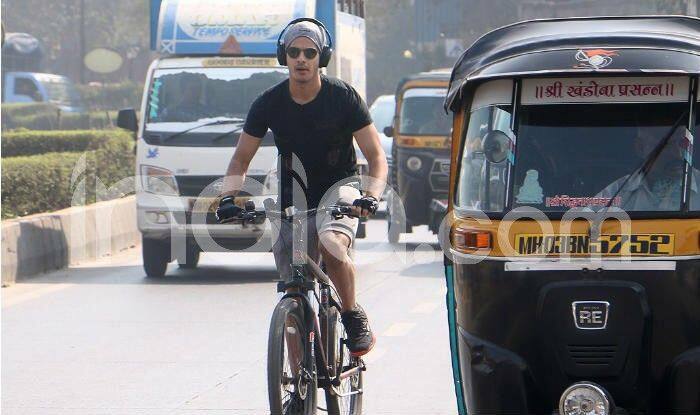 The Dhadak star was clicked riding a bike wearing headphones on the busy streets of Mumbai. The good people on the internet took no time in schooling him about following the traffic rules. 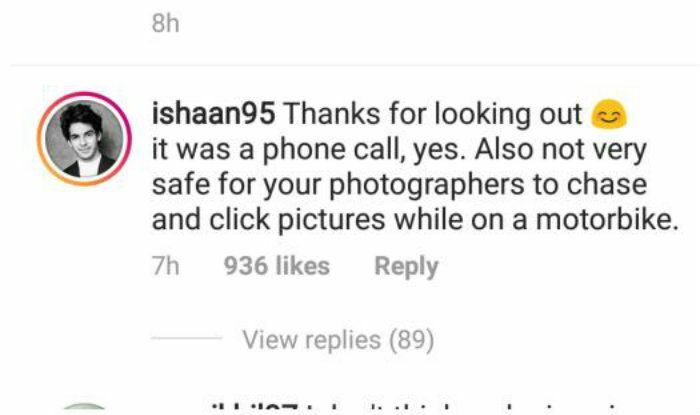 Ishaan has now written back to the trolls in the comments on one of his pictures on Instagram. He has clarified that it was just a phone call and that even photographers should be asked to not chase someone while the person is riding a bike. 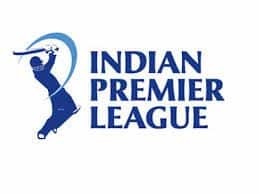 Ishaan wrote, “Thanks for looking out. It was a phone call, yes. Also, not very safe for your photographers to chase and click pictures while on a motorbike”. 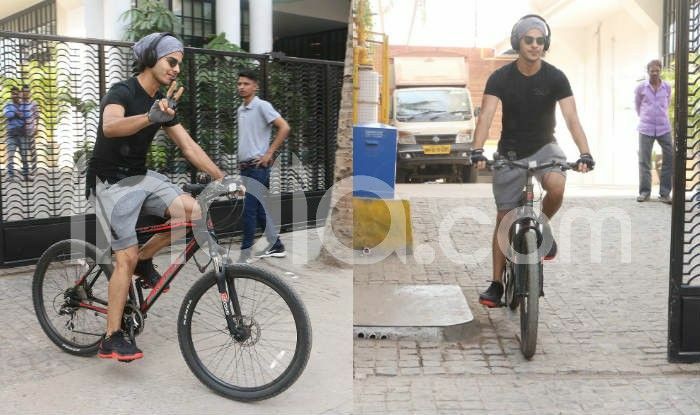 Ishaan was seen in a pair of grey shorts and a basic black tee while riding a bike. The young actor has been following a strict workout schedule and riding a bike was a part of the same. 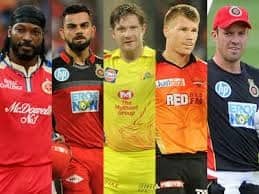 Many other celebrities like Salman Khan, Shah Rukh Khan, John Abraham, Akshay Kumar, and Farhan Akhtar among others have been spotted in the past riding bikes on Mumbai roads. On the work front, Ishaan Khatter has been bagging major Bollywood awards for his performances in Dhadak and Beyond The Clouds last year. The actor’s next film is not yet announced but considering the kind of positive response he has received from both the audience and the industry alike, something will soon come into the pipeline for him. 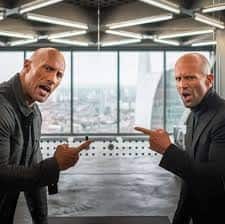 He is also in news for his rumoured relationship with Janhvi Kapoor. The actress also debuted in Bollywood with Dhadak and the two are often papped dining out and at other events. However, in his latest interview with a news channel, Ishaan denied the rumours.